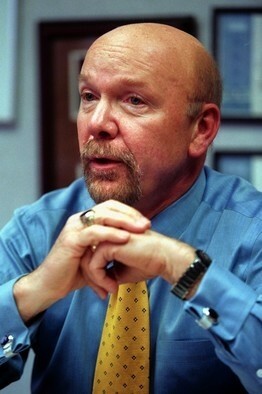 Best Buy founder and chairman Richard Schulze resigned Thursday and is exploring options for his 20.1% stake in the ailing company. Alongside business partner Gary Smoliak, Schulze opened Best Buy in 1966 (named Sound of Music until 1983) and remains its largest shareholder by far, with Fidelity Management & Research being the second largest shareholder at 6.9%. The 71-year-old was expected to step down following an annual company meeting on June 21 after it was found that he knew about an inappropriate relationship between former CEO Brian Dunn and a female employee. However, he previously planned to remain chairman until after the meeting and as a director through 2013. He will leave both positions immediately. "I continue to believe in Best Buy and its future," Schulze said. "There is an urgent need for Best Buy to reinvigorate growth by reconnecting with today's customers and building pathways to the next generation of consumers. Accordingly, I have shared my views with the Board and today informed them of my decision to resign as chairman and a director, effective immediately, in order to explore all available options for my ownership stake." "Mr. Schulze is an iconic entrepreneur, and the board offers its deep appreciation for his enormous contributions and service as Best Buy’s founder and chairman. With hard work, leadership and vision, Mr. Schulze built Best Buy into a $50 billion enterprise with nearly 170,000 employees across the world. In the process, he changed the landscape of American retail," Best Buy's announcement said. Hatim A. Tyabji, chairman of Best Buy's audit committee, was previously selected to assume Schulze's role as chairman after the June 21 meeting and has taken the position a couple weeks early. Tyabji is a 40-year industry veteran and has served as a Best Buy director since 1998. The company's press release offers a deeper background if you're interested. Schulze's departure comes roughly two months after Dunn resigned as CEO and after the retailer revealed that it would close close 50 US stores. The company has struggled to remain competitive with online vendors. Best Buy stores open at least 14 months have recorded a drop in sales for seven of the last eight quarters, according to Reuters. Best Buy shares slipped 8% Thursday morning and 18% since the beginning of the year.